New ASP lecture video series is organized into 14 different lectures covering all seven domains of the ASP examination, based on the current BCSP blueprint. Our online courses are the premier resource for certification examinations. Simply log in at any time, anywhere and work from the point you left off. It's that simple! Take quizzes in each domain of the exam to evaluate your knowledge of each subject area. Take overall comprehensive tests to evaluate your knowledge of all domains of the exam. CEUs and certification awarded by Florida Institue of Technology, Office of Continuing Education. "Dr. Kaviani - just a quick note to tell you that maybe 18 years ago I took a 3-day math review class from you which changed my self- perception & really helped me both personally and professionally. I have thought about it often & told many people about the experience of ‘that one teacher’. I saw your contact and reached out to thank you. Your class was the first time I understood that I could do math ... it was actually a profound finding for me and it changed my life. Best regards & so much appreciation!" "It is with great excitement I share my passing of the ASP examination. I feel as though I know you since you have been teaching and mentoring me through the video training materials for so long. The combination of video and training materials proved formidable preparation for the exam. When I bought the materials we spoke on the phone. You shared an investment of some 60 hours would be necessary to extract full value. I certainly exceeded that time, but what I find interesting is the amount of information that becomes clearer with each pass through it. By the time I took the exam, most formulas were naturally committed to memory. I was fully prepared for the little stumbles, absolute values and temperature, constants, US vs metric, conversion of units, etc. I will be recommending your services to other safety professionals with our organization"
"Thank You ISSM for such a great study guide and online prep platform for CSP 9, The study materials made me think and learn which made it easy to pass the CSP exam"
"I passed my CSP!! I couldn't have done it without your help on it or the ASP. Your course study materials have been invaluable and I will be forever grateful! Without your test prep materials for both test I couldn't have passed. The exam was almost exactly like your prep materials. That made me a lot more comfortable in a high pressure situation. I took your quizzes multiple times and that was my benchmark that I was ready to take the exam." 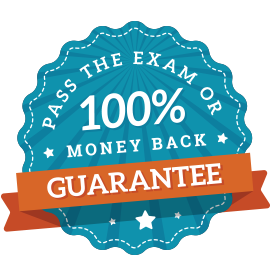 "The comprehensive Examination Preparation Course was an immense help in passing my CSP examination. The guide reinforced basic scientific principles. The examples were very well written." The Boring Company's website for the project indicates the two tunnels would be constructed at least 30 feet below ground and the project initially would be a high-speed underground public transportation system in which passengers are transported in autonomous electric vehicles traveling at up to 150 miles per hour. British Columbia provincial officials have hired Vancouver lawyer Lisa Helps to assess how WorkSafeBC implemented worker safety recommendations following two dust-related sawmill explosions in 2012 and 2014 at Babine Forest Products and Lakeland Mills.